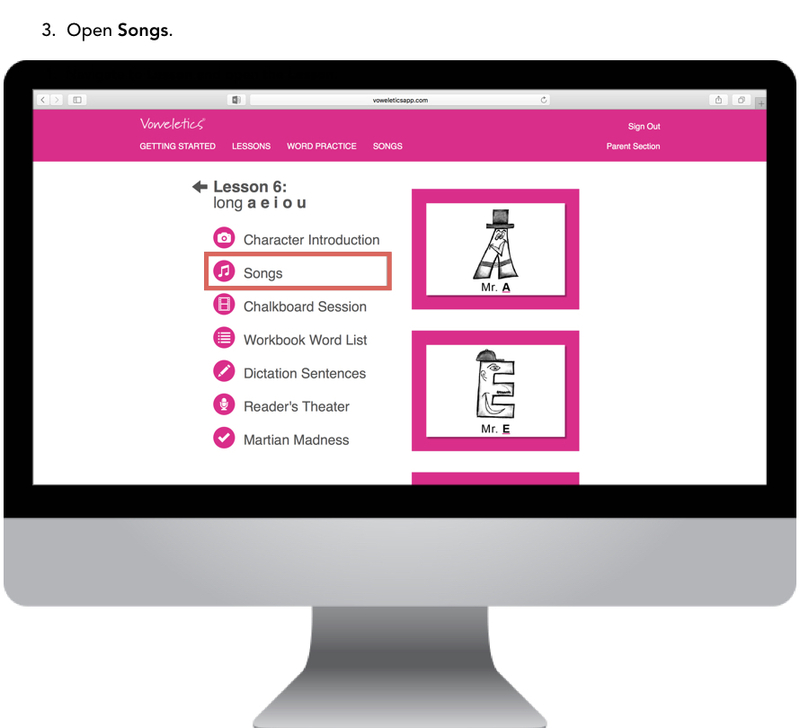 Creative songs from varying genres either teach to a vowel rule or bring a vowel character to life. These songs provide a fun and memorable way for your child to learn. 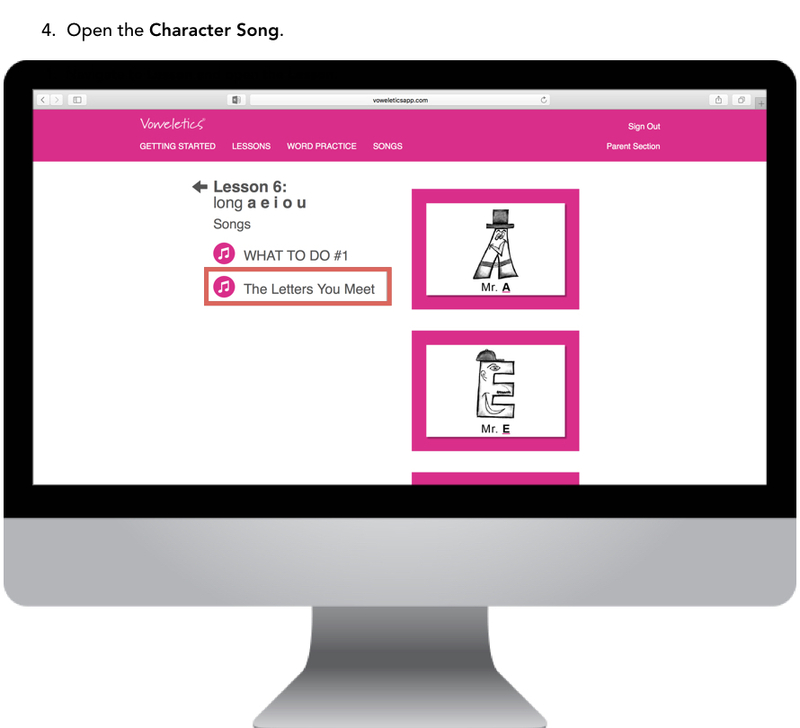 The songs include the lyrics, vowel character drawings, guidewords, and vowel rules. Each song is introduced as it coincides with the new vowel sounds and rules presented in the lessons. Your child will step through learning the vowel sounds and vowel rules found in three WHAT TO DO rules. The WHAT TO DO rules simulate the internal process any reader, at any age, should go through to correctly determine vowel sounds in words. The WHAT TO DO rules are presented in catchy, easy- to-remember songs. These and other vowel rules are first set to music and then visually transferred to Resource Charts that are repeatedly used throughout the program. Guide your child in following along with the lyrics, even if they do not know how to read all the words. This gives them great practice tracking words in a sentence and will help to build their reading vocabulary. Add motions to the songs to make them more memorable and fun. 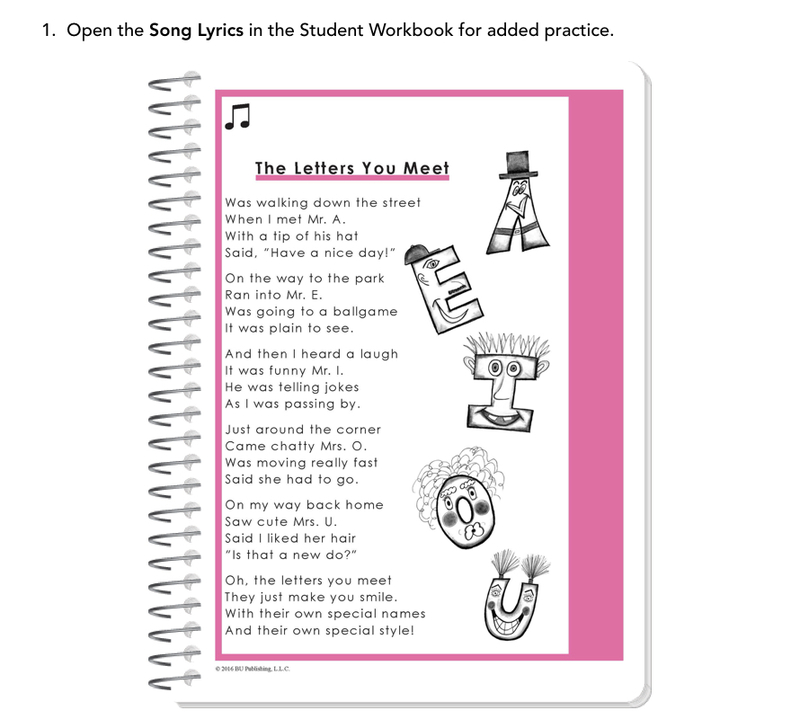 Lyrics to the applicable WHAT TO DO RULE for the lesson are also found on the Lesson Divider page for that lesson in the Student Workbook. For fun, your child can go to the top menu bar to SONGS and play any of the songs.